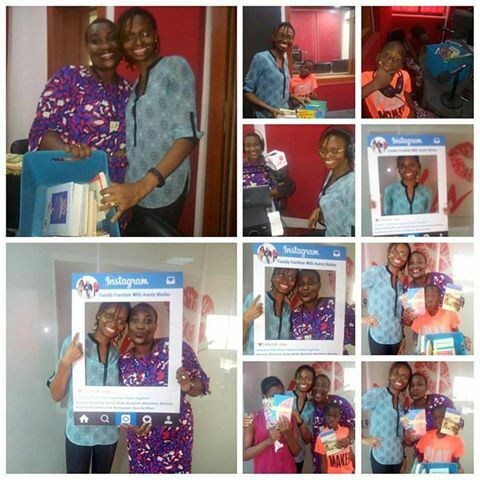 It was all about books on our radio show, Family Funtime With Aunty Bimbo, (FFAB), last week Saturday in celebration of World Read Aloud Day. We had Farida Ladipo-Ajayi, the founder of The Bookworm Cafe with us on the show and she gave us tips on how to get our children to like reading. One of the tips was to make sure there is always a book they can read in the car when you are taking them out. Another tip is for parents to keep books handy around the house where the kids can have access to read them. Just in case you are wondering where to get books for children from infants to teenagers, the Bookworm Cafe has library facilities that are very family friendly and affordable. They also have a Reading Club that will help improve reading in children. 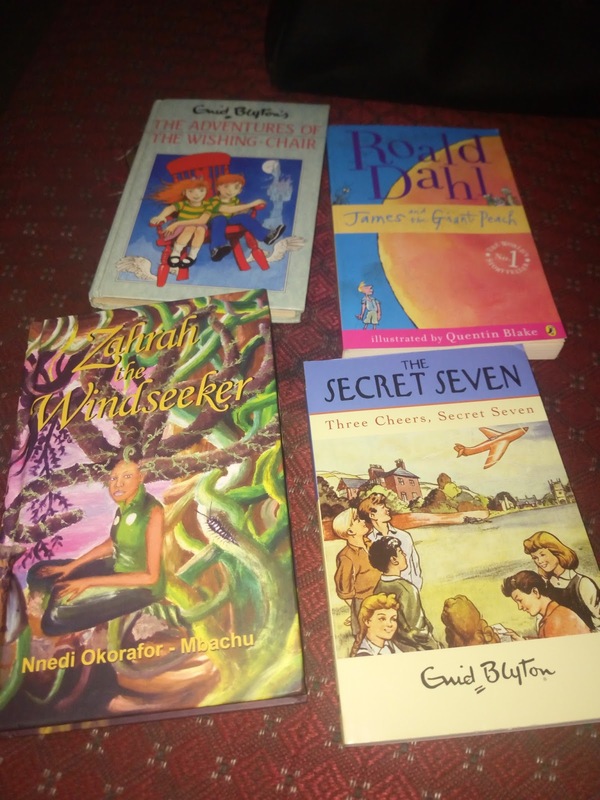 We had many children call in to the show to tell us about books they have read and it was surprising to find out that quite a number of children still like to read! The children that gave awesome reviews of the last book they read won themselves the books above and they were very excited at that.